NEEDLE PUNCHED FELTS There are 13 products. 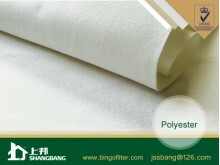 Our Anti-static Needle Punched Felt provides 5000 ㎡/day, and we can supply different advices up to your circumstances. Please call us or leave a message to us! 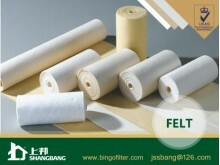 Needle punched felts mostly used to produce dust collector bags, which is widely adapted in industrial dust collection, reducing environmental pollution. 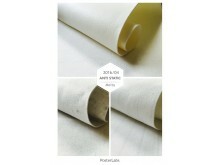 We have produced all kinds of needle punched felts for nearly 20 years. 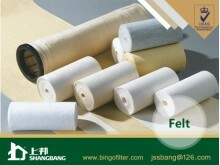 Discuss your requirements with us, we can custom needle punched felts for you. 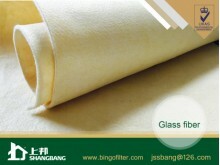 Our Fiberglass Needle Punched Felt has high intensity strict production process but with reasonable price. Acrylic Needle Felt is mainly used in the detergent, waste incinerators, asphalt, dance spray dryer, coal mill and power plant, reducing environmental pollution. 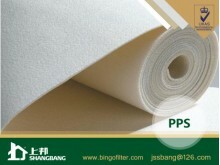 Our PPS Needle Felt provides 5000 ㎡/day, and we can supply different advices up to your circumstances. Please call us or leave a message to us! As a propular needle punched felt, Polyester needle felt has good permeability, high efficiency for collecting dusts, long working life etc. We have 6 kinds of high temperature needle felts for choice. All fit in a variety of high-temperature working conditions. 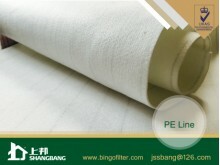 We can produce three types(Line, Matrix, Blended) with competitive price. Just contact us whatever you need. 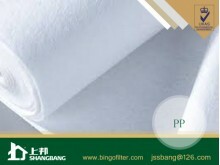 Shangbang introduces a NEW level of advanced performance to the technical textiles industry with revolutionary fiber technology. 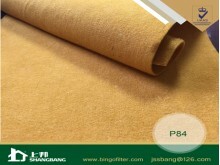 The construction of the PTFE fiber is designed based on each specific application. 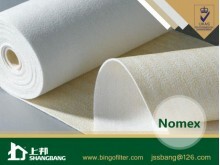 Nomex needle felts is the most popular heat-resistance felts. 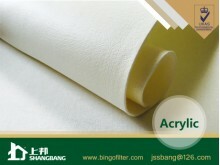 Our Supply Ability of Polypropylene Needle Felt is 5000㎡/day, and we provide competitive price, you can order trustfully. 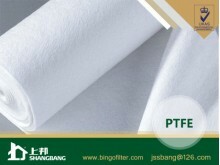 As a professional manufacturer of filter media in China, Shangbang annual Filtration manufacturing capability of needle felts can reach 5 millions square meters (1 Container per day) and make needle felts 4000 pieces needle felts per day.